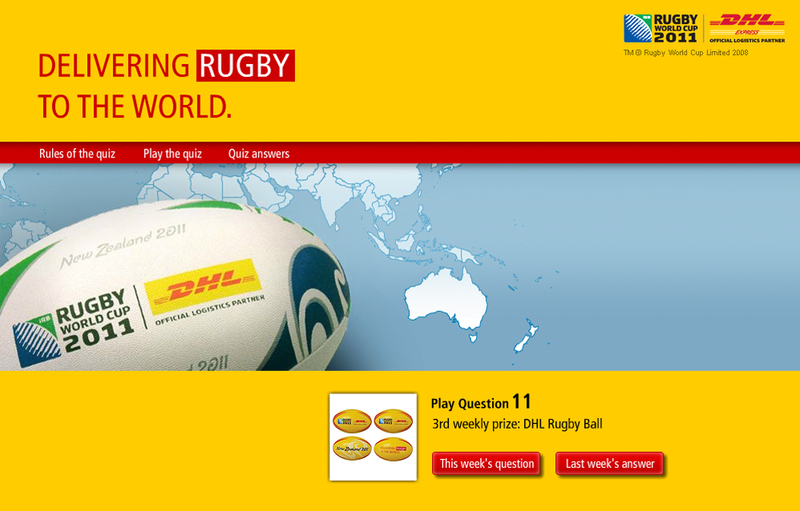 DHL, an official logistics partner with the 2011 Rugby World Cup in New Zealand, ran an integrated advertising campaign using the tagline, “Delivered by DHL”. 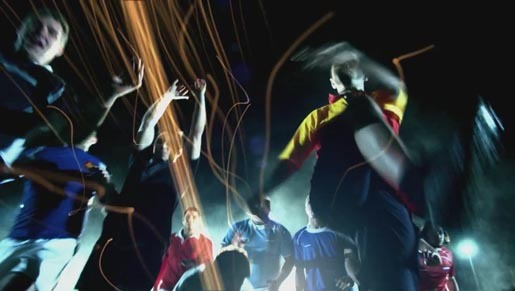 A television commercial linked to the Speed of Yellow campaign, is joined by print, digital, radio and out-of-home focused on the game of rugby. The “Delivered by DHL” tagline has also been applied to DHL’s partnership with Formula 1, Fashion Week, Volvo Ocean Race, Gwendenhaus Orchestra. DHL ran the “Delivering Rugby to the World“ quiz, inviting visitors to the DHL brandworld site to try out for a prize of two tickets to the Rugby World Cup 2011 Final in New Zealand, an autographed DHL rugby ball, an autographed DHL rugby jersey, rugby scarf, rugby bag, and a book by Sean Fitzpatrick.